When a Chinese company took control of Pakistan’s deep-sea Gwadar Port in February, much of the commentary focused on whether or not it heralded a Chinese military vanguard in the region. Though conventional wisdom seemed to be that a militarized Gwadar Port was a fretful prospect, for the moment, Gwadar is just an economic beachhead on China’s “march west”. But while the port is militarily undeveloped, it is also lacking as a base for trade. As The Diplomat’s James R. Holmes has pointed out, though the port occupies a prime position at the mouth of the Strait of Hormuz, it harbors other serious geographic disadvantages. 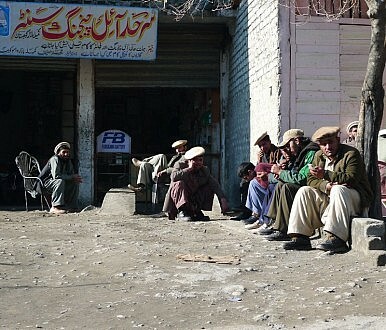 Most notably, the neighboring province of Baluchistan is home to an entrenched insurgency and frothing sectarianism, and makes for a perilous place to lay a trade route. But China has bigger problems in wanting to use Gwadar port as an economic base, problems that ironically lie more than 2,000 kilometers away, high in the cloud-tipped Karakoram mountain range in northern Pakistan. The success of Gwadar as a Chinese trading post hinges on the political and geological stability of the 1,300-kilometer Karakoram Highway (KKH), China’s only overland link to Pakistan. Without the KKH, which cuts an impressive path through rugged, high-altitude terrain, there is no land route to Gwadar. Without a reliable land route to the port, Gwadar’s value decreases dramatically; and the KKH is anything but reliable. The KKH was a largely Pakistani endeavor throughout its initial phases in the 1950s and 1960s. In the mid-1970s, however, the Chinese marshaled 10,000 road builders into Pakistan – almost one for every Pakistani worker at the time – to complete the highway. Beijing did so because it hoped to sweeten the relationship between the two countries and augment trade, goals the project has more or less accomplished. The highway has remained sealed in some sections, unsealed in others, with Pakistani and Chinese workers improving the most hazardous bits in piecemeal fashion over the years. Now, the need for improvement is urgent. The July 5 pact reflects the pressing need for better access via the KKH, calling for Gwadar-Kashgar rail links and a $44 million fiber-optic cable from the Chinese border to Islamabad. China also has its eyes set on pipelines, seeing the Iran-Pakistan natural gas pipeline as a reliable source of energy. Many of these infrastructure projects are only possible with the expansion and improvement of the current road to the border. 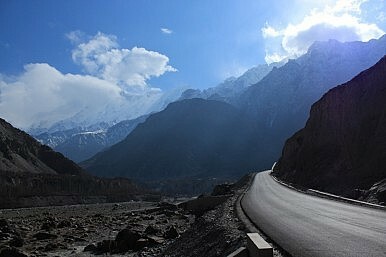 And expansion of the KKH is a challenging prospect, even for China’s experienced road builders. Pakistan’s Economic CrisisCan Shehbaz Sharif Escape His Brother's Shadow?Is China Influencing Pakistan’s Elections?Is It Imran Khan’s Turn Yet?Is Pakistani Agriculture Ready for CPEC?